New Jersey locals, Precious Bones’ latest release, Fracture, is a bit rough around the edges vocally but comes well equipped with solid rockabilly instrumentals. “Watch Over Me” crawls in with a distant, unique news report at the forefront of the track that builds with anticipation. Harsh riffs, heavy bass and brash drums outshine Antoine Poncelet’s inconsistent vocals. Despite a less than amazing performance, Poncelet certainly puts heart into the lyrics and vocals for Fracture, including “Nothing” and “Goodtimes,” which were both written by bassist Guy Tetro. After the edgy first piece, “Nothing” pops in with a hint of summertime. Again, it seems that the percussion takes the forefront during the loud and exciting chorus, especially as Poncelet’s natural treble adds some weight onto the second number. And the good times roll in with a surf rock feel and overlapping vocals and a sleek bass groove in the youthful chorus. Precious Bones sasses up the album with the energetic and top-notch “All She Wants,” as Poncelet gets into the zone and digs deep to produce his best performance on the disc. The badass jam hits the nail on the head as for incorporating the vocal stylings of what sounds like at least three other members of the sextet. After the sudden burst of energy, the serene “This Is It” has Fracture limping to the doctor. Certainly not the strongest cut on the short release, but shows that the six-piece are capable of showing a more vulnerable side. A township resident and lead singer for a North Jersey rock band remembers what he calls his "street corner troubadour life," performing in front of a wig shop on Newark Pompton Turnpike and playing at the corner of Main Street and Stevens Avenue. Precious Bones, whose lead singer is from Little Falls, at their practice space in Rutherford. 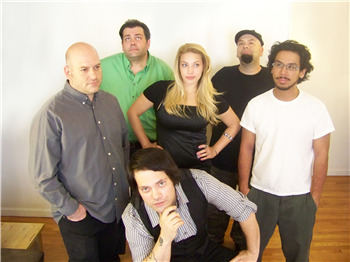 From left are band members Ray Tetro, Nat Pongpanich, Antoine Poncelet, Mike Mideaker, Guy Tetro and Alexandra Poncelet Del Sole. Flooding he experienced in Little Falls informs his lyrics and he likes to write songs after taking a long walk along the Passaic River, said Antoine Poncelet, 32. Now he is taking it to the next level with Precious Bones, which he joined in January. The band styles itself after 60s rockers such as The Kinks, Rolling Stones, and The Beatles as well as post-punk alternative bands like David Bowie, The Cure and U2. "We're trying to bring back a classic sound," Poncelet said. "We're trying to be true to ourselves and true to rock and roll." This Sept. 30, the band will bring that sound to the New York City New Music Festival in the East Village. They are among a select number of bands chosen to perform at the festival organized by the Songwriters Showcases of America. "It was exciting to be picked," said Guy Tetro, 42, bassist for the band and Rutherford resident. "We got picked out of thousands." Poncelet is looking forward to the show. "We're most excited to be a New Jersey band there," he said. "I want to show those New York cats what rock and roll is." Tetro said that the festival is the next step in the band's progression. "I don't think we got picked by chance," he said. "I think this is going to lead us to getting signed." Although not opposed to money and prestige, that is not the reason the band wants to get signed, Tetro said. "We have messages we want to get out," he said. "We want to be rock stars not because we want the fame and fortune…but because people listen to you." Their show at the New Music Festival is just one in a series that the band has performed at in the past few months. "We've already taken Hoboken, taken Clifton and are about to take Jersey City," Poncelet said. "I see us as an elite strike force." On Aug. 30, the band will play at the Lamp Post in Jersey City: "It's something we're really very surprised to have landed," he said. "But the people who booked us really liked our music." 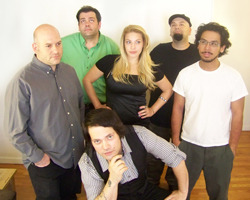 And on Sept. 12, the band will open for the Benjamins in Teaneck. Tetro said that he is excited about that show because it's the first time they got their band name on tickets. Precious Bones thrives on their original music. One of the songs the band is most proud of is called "Nothing." It's crafted in the style of 80s new wave music and is about a failed relationship, Tetro said. But the song has a positive tilt. Poncelet said that at the end, the hero of the song realizes that it's OK to be alone. "It's not just the typical 'woe is me' song," he said. Another one of their songs called "The End of the End," is about the poisoning of the earth, Tetro said. "I always thought that it's great when you can take a song about misery and death and dance to it," he said. The band's drummer, Nat Pongpanich, 35, of Rutherford, found the band through an ad on Craigslist. He said he prefers to be heard and not seen. "If it sounds good with the song, then I'm going to play it," Pongpanich said. Lead guitarist Ray Tetro, 41, of Rutherford, gives the band a unique flavor by "bending" the sounds that come out of his guitar with a whammy pedal. "I have a pitch bender," he said. "I'll make it sound like whales." Guy Tetro compared the style to that of Pink Floyd or Radiohead. "The root is classic rock, but we bring in so many other elements," he said. 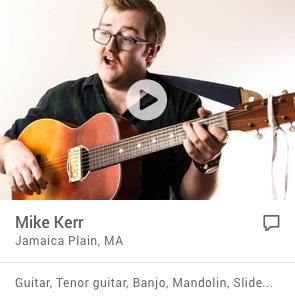 Mike Mideaker, 43, of Fairview, singer and guitarist for the band, looks forward to their upcoming show at the New Music Festival. 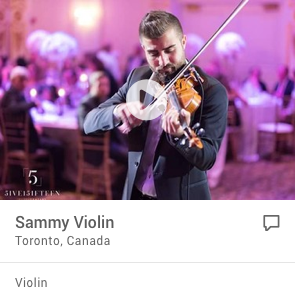 "Being picked to be involved is an exciting opportunity to represent New Jersey in what is new and upcoming in the world of music," he said. To learn more about Precious Bones visit www.preciousbones.com or facebook.com/preciousbones. As riveting and moving as those words are, they won’t be making their way into any of the songs penned by New Jersey City University graduate and bassist Guy Tetro for his newly formed band, Precious Bones. Since January, the sextet has been perfecting their sound, a blend of 60's British rock, 80's New Wave and good old rock ‘n roll. They cover everything from relationships to the environment and even a true story about a kid battling cancer that Tetro decided to immortalize in the song “Good Times.” Tetro, who studied Journalism and Communications at NJCU, read about the teen in a news article. “It was about this kid in high school who was dying of a cancer that was incurable. Instead of letting that get him down, he decided to live every day to the fullest. He did everything on his bucket list. His final thing was go to his own prom. He went to prom, then died the next day. But he didn’t regret anything. Even though he had been given his notice, he decided that instead of letting it beat him, he’d beat it,” says Tetro. “There are people like him out there… we want to make a difference. We want people to listen to our songs and get motivated to do something,” he adds. Precious Bones, on the other hand, represents what he calls a “resurgence of rock ‘n roll,” a new interest in old bands like Van Halen and Aerosmith who lived for getting their hands dirty, writing songs and thinking out of the musical box. Tetro says he and his band are not alone. Digital Darkness Compilation Vol 1, Track 8: "Hearts Are Heavy"
Digital Darkness Compilation Vol 2 Disc 3 Track 8: "Nothing"
Started in February of 2012, Precious Bones was formed by bassist Guy Tetro who enlisted vocalist/guitarist Antoine Poncelet, Tetro's brother Ray Tetro on lead guitar, and drummer Nat Pongpanic. Later, guitarist Mike Mideaker and Poncelet's sister Alexandra Poncelet Del Sole was added as backup vocals. The band members all came from different musical influences. Guy Tetro was influenced by post-punk like Joy Divison and the Smiths as well as surf and 60's rock like the Ventures and The Sonics. Antoine Poncelet was influenced heavily by David Bowie and The New York Dolls. Ray Tetro was influenced by Tool and Pink Floyd. Mike Mideaker was influenced by heavy metal bands like Metallica and Black Sabbath. Nat Pongpanich was influenced by bands like She and Him and Metric. Alexandra Poncelet Del Sole by Blondie and No Doubt.